Your Buyers Guide for the Best Weightlifting Shoes for Men and Women. You may assume that any quality athletic shoes are okay for weightlifting. That is not accurate for a number of reasons. Basically, the best running shoes are great for running, and the best walking shoes are perfect for walkers. However, they are not specifically designed for weightlifting. The same is true for other shoes made for sports like, tennis and basketball. However, the best weightlifting shoes are made explicitly for weightlifting. Different types of athletic shoes may have excellent arch support and other important features for the particular sport they are designed. The problem is that they do not provide the same critical support and balance as a shoe built for weightlifting. Here is a short list of a few things to look for when searching for the best weightlifting shoes, followed by a list of the five best men’s weightlifting shoes and five best women’s weightlifting shoes. 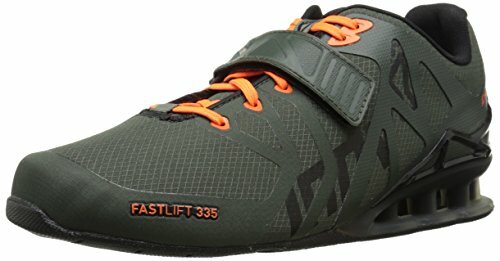 Using the previous tips on how to pick the best weightlifting shoes, here are the five best men’s weightlifting shoes, followed by the five top women’s weightlifting shoes. Before each section, there is a table summarizing the list. The best features listed for each shoe, plus a few pros and cons we’ve uncovered for you. o The upper part of the shoe is polyester for improved breathability. o Otomix Carbonite Ultimate Trainers have a synthetic rubber non-slip sole for a secure grip. o This shoe is mid-cut design to add the best support and comfort for your ankles. 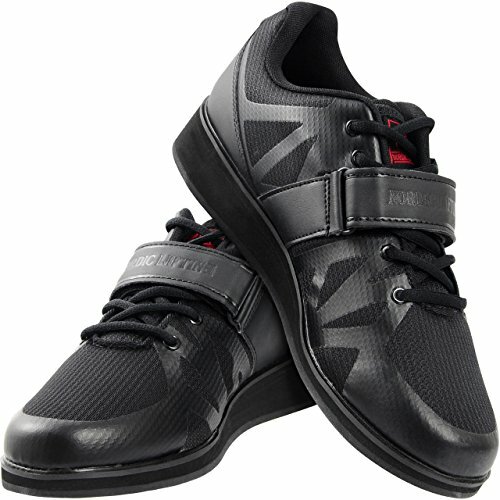 • This is one of the best men’s weightlifting shoes for support because of the added ankle support. • The sole of the Otomix Carbonite Ultimate Trainer Men’s Bodybuilding Shoe is angled slightly forward for stability and muscle building. • When tightened down, the Otomix Carbonite special interior strap that wraps across the top of your arch to provide secure support when lifting heavy weights. • The Otomix men’s weightlifting shoes indicate they run true to size, but there is mention that they seemed to run a half to a full size smaller than normal footwear. • This shoe has a higher average price than other brands. o Nordic Lifting® have Velcro straps across the arch helps you quickly secure the shoes during your workouts. o An extra inch of rise in the heel helps improve stability when lifting heavy weights. o The Nordic Powerlifting Shoe uses quality materials and reinforced stitching for outstanding durability. • The extra heavy strap across the arch of your foot provides an extra level of support, plus it helps to attach the shoe to your foot securely. • This shoe has a heel riser of almost an inch and a half for improved stability and support. They are excellent for deep squats and dead lifting. • There is a rigid anti-slip sole so your feet remain stable during difficult lifts. There isn’t much variety for your color choices since this shoe only comes in two colors, black and blue. • The largest size the Nordic Powerlifting is available is a 12 medium (US). o The upper part of the Adipower is PU-coated leather providing tremendous comfort. o This shoe is reinforced at the midsole to give you a secure feel and the best foothold for heavy lifts. o The ankle support in this shoe has extra padding to prevent rubbing during exercises with a lot of foot movement. • The instep strap is adjustable with a hook-and-loop design to give your heel more stability. • Inside the Adidas Men’s Adipower there is a soft lining, so these shoes are the best weightlifting shoes if you prefer not wearing socks. • The arch support is an injected polymer for the firmness and support needed in deadlift shoes or bodybuilding shoes. • There are currently limited sizes available, including nothing between the sizes 10 to 13 (US). • The eye grommets have occasional problems. o There is a firm upper that is strengthened to provide better alignment for squats. o This shoe has interchangeable insoles, soft and firm, which allows you a wider range of flexibility. o The Nike Romaleos 3 has a more moderate heel elevation, approximately ¾-inch. • This is one of the sturdiest deadlift shoes, providing enhanced support for deadlifts and squats. • The upper part of the Nike Romaleos 3 is a synthetic that is easy to keep clean. • This shoe has a tongue that is completely mesh to improve breathability. • The Romaleos 3 is one of the stiffer weightlifting shoes. They can take somewhat longer to break in. • While there are 10 color variations, this shoe only comes in a limited number of size choices. o The upper portion of the Inov-8 Fastlift 335 is a ripstop design with lightweight overlays that provide a secure and comfortable fit. o At the top of the tongue is a lace closure to help tighten the laces and keep them tight. o This shoe uses the Inov-8 Meta-Flex™ system with a power-truss heel design to increase stability. • Both the collar and the tongue have extra padding for enhanced comfort during long workouts. • The foot bed can be taken out to dry, helping to keep the shoes pliable and fresh. • There is a stickier rubber used in the outsole making this one of the best weightlifting shoes for traction. • The outsole stickiness helps keep your feet in good position, but they also pick up a lot of dirt and lint. • There is more forward tilt from the heel to the toe, so it can take time to adjust to this angle, especially for deadlifts. o The Reebok Women’s Legacy Lifter has double Velcro straps across the top for an extra secure fit. o There is a firm double layer band across the top of your foot provides excellent support. o These shoes are structurally designed for Olympic caliber lifting. • They are slightly heavier than other women’s weightlifting shoes, which improves the feeling of stability. • The effective heel height is nearly a full inch to keep you balanced. • This shoe has a full, perforated leather upper for outstanding durability. • Narrow toe can be uncomfortable if the balls of your feet are wide. • The leather upper portion can take longer to break in than other shoes that use a synthetic material. o The Inov-8 Women’s Fastlift 335 is a lighter, more versatile weightlifting shoe. o There are interesting color combinations used in this shoe that enhance its visual appeal. o There is a ¾-inch Velcro strap across the top of your foot for that secure fit necessary for power lifting and bodybuilding. • This option on your list of women’s weightlifting shoes has a platform-style heel for stable footing. • The enhanced heel cushioning allows this shoe to be used for more diverse types of workouts, such as cross-training programs. 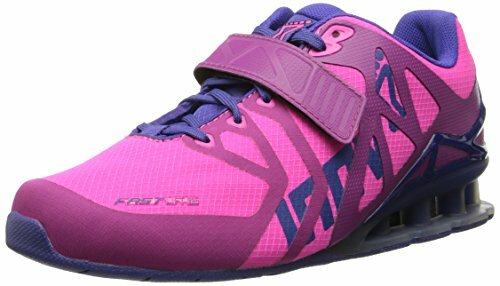 • This is a lighter shoe than many women’s weightlifting shoes, weighing 12-ounces. • This shoe only comes in two colors, a basic all black and a flamboyant pink/purple combination. • The full synthetic mesh across the top of the foot is not as durable as other shoes that use stiffer types of materials. o The Adidas Women’s Powerlift 3 1W is one of the best women’s weightlifting shoes because of its outstanding support. o It blends a breathable synthetic upper with a non-slip rubber sole for excellent traction. 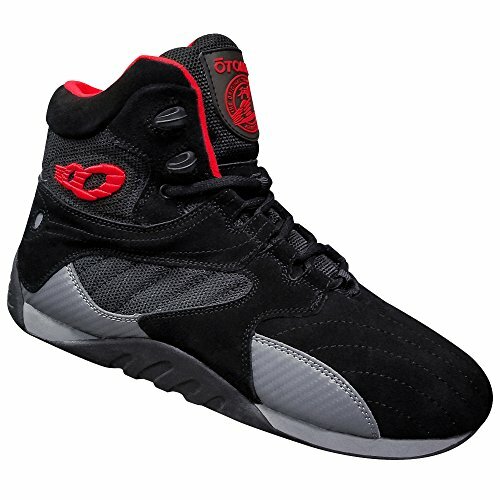 o This shoe has a lightweight synthetic upper that is durable and provides excellent support. • This shoe is designed specifically weightlifting. It uses a high-density midsole with a wedge for improved stability. • The forefoot area of this shoe is open. It is flexible for improved comfort. 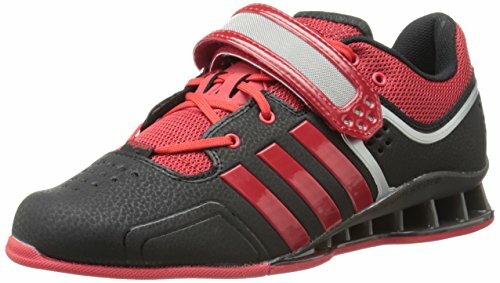 • Of all the best weightlifting shoes on your list, the Adidas Women’s Powerlift 3 1W has the most appealing price. 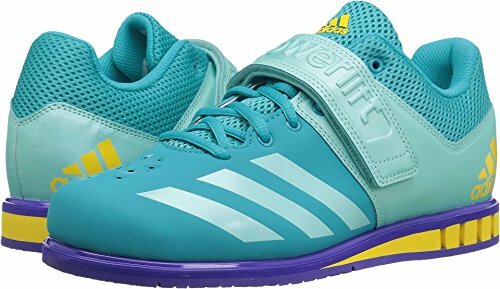 • The Adidas Women’s Powerlift 3 1W only comes in two rather flamboyant colors, energy blue and energy pink. • This option on your list of the best weightlifting shoes for women is a flatter design, and may not be comfortable for women with a high arch. o The front of the outsole is made with a molded rubber design to improve grip and allow more freedom of movement. o There is an extra inner lining inside this shoe that helps wick moisture away from your feet. o This is a heavier shoe, which is constructed to provide the most stable platform for heavy lifts. • There is a double lockdown strap across the top arch and the mid foot for improved stability. • The uppers are a breathable and durable mesh. • With a double stiffened heel, you will be able to feel the improved rear foot stability. • The heel to toe drop on this shoe isn’t as pronounced as others in your list of the best weightlifting shoes. • This shoe has no tread on the sole so it doesn’t provide the best traction on all surfaces. o The Pendaly 15PFUSSIL uses the Do-Win™ wide toebox shape to prevent pinching during heavy lifting. o There are two metatarsal straps across your foot to make sure your shoes stay tight and secure. o This shoe has a wider heel than most of the best weightlifting shoes, which helps provide a more stable base for women. • This shoe uses synthetic leather, so it offers exceptional foot support. • There is a full ¾-inch heel height to keep you properly positioned on heavy lifts. • The Pendlay 15PFUSSIL has one of the firmest soles to give you that extra edge for deadlifts and overhead moves. 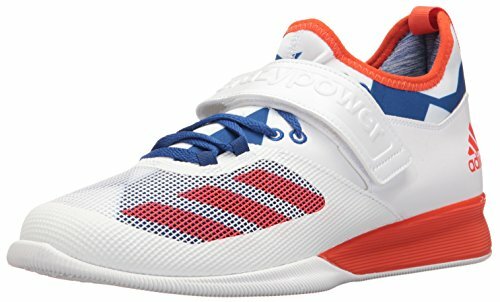 • The only sizes available for this women’s weightlifting shoe is based on men’s US sizes. 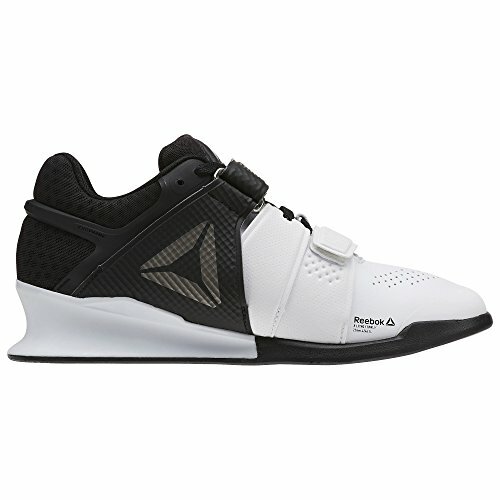 • There is only one color offered for this choice for the best weightlifting shoes. These are the five best men’s weightlifting shoes and women’s weightlifting shoes. Each shoe has a few unique features that you may find better suit your training aspirations. Make sure you follow the three suggestions mentioned. This will help to ensure you get the fit, plus the support and stability you need out of your footwear. Any of these choices make excellent deadlift shoes or bodybuilding shoes. These are the five best weightlifting shoes for men and women. Enjoy any of these shoes for the stability you need to feel confident on every lift. There three important tips you need to keep in mind when picking the best weightlifting shoes. You need to make certain they fit properly, provide the right kind of support, and how much the shoe weighs. • Fit – When deciding on the best pair of weightlifting shoes, deadlift shoes, or bodybuilding shoes, fit is the first priority. Both men’s weightlifting shoes and women’s weightlifting shoes must fit securely to your feet. Wear the same socks you use to work out when trying on your shoes. The best weightlifting shoes should fit snugly, without pinching or causing irritation. • Support and stability – This is the one key difference between deadlift shoes and bodybuilding shoes. The best weightlifting shoes provide tremendous support. Running shoes have too much cushion, which reduces stability. The best weightlifting shoes allow you to firmly press and control large weights, while providing stable support. • Shoe Weight – The final thing to keep in mind, when searching for the best weightlifting shoes, deadlift shoes, or bodybuilding shoes, is the weight of the shoes. This may seem like something without any importance, but it is. Normal athletic shoes are often ultra lightweight. The best weightlifting shoes are heavier, and this added weight provides extra balance and support.